No More Dry Erase Boards for These Kindergartners! You would have thought these 6 year olds won the lottery! They were so excited to draw on the window. The part that really touched me though was the way they wanted to clean the windows at the end, because they didn’t want the cleaning crew to have to do it. How sweet is that?! I know it took me a long time to make the shift from math being a performance subject (call out a question, look for a correct answer) to a learning/thinking subject. It took me an embarrassingly long time to break my practice of “fixing” mistakes for students. If the answer wasn’t correct, I believed that they hadn’t learned math. This is so far from the truth. Now with recent brain research, we know more about mistake making than ever before. Make a mistake, your brain grows…figure out your mistake and your brain grows double the speed. Check out You Cubed and Dr. Jo Boaler for more background on that. And with deep tasks, our students grow even more. In addition, I was embarrassingly slow to realize that I didn’t have to check every single problem and every single calculation. Much like writing, it’s okay to look for a specific skill in a project or difficult math problem. It’s about the THINKING that the students are doing, and even with an error here or there, knowing they are still learning. It was years of bringing home stacks of papers to correct before I came to the realization that we need the students to really start catching their own mistakes. There is a place for deeper thinking in math class, where they are free to make errors without the fear of being “wrong” or “bad at math”. To see what I mean about a deep task, try out Doggy Dilemma (totally free). But how DO you check in with students with these giant projects without spending hours correcting? Much like reading or writing, you can confer with them as they work. Look for their misconceptions, their thinking, their basic math skills being used in complex ways. But another great way is to get them together for a class meeting. A class meeting where everyone is responsible for sharing, this places accountability right in their lap. I’ve been working with this amazing fourth grade teacher who inspires me all the time. She is the kind of teacher that oozes respect when she speaks to her students, and she is constantly looking for ways to elevate the level of learning in fun ways. You walk into her classroom and you are basically smacked in the face with a literacy and math rich classroom, complete with art and creativity. She and I are a great match when it comes to these things, including holding students to high expectations. My favorite part of this project (so far). We sat in a circle and gave them a few minutes to discuss their answers to each of those questions. Then, the students went around the circle and shared one at a time, giving one answer for one of the statements on the chart. I recorded their thinking as they went around. In total, it only took 15 minutes, and they uncovered some questions that other students in the classroom were feeling very confident about. BOOM! They will help each other, because that is what we all naturally want to do when we feel confident with something. The most powerful moment? When a highly gifted student shared his mistake. The rest of the class had this sort of hush as they realized that HE isn’t perfect either. With one more week to go to finish, they’ll be assessing their own work at the end of the project with the rubric attached to the back of their papers. During this entire project, both the classroom teacher and I were completely hands off, asking them to find the answer themselves or by asking a peer. It’s been a great open ended independent study for them to explore a fun topic! Practice Locating Fractions on a Number Line with Sink That Ship! 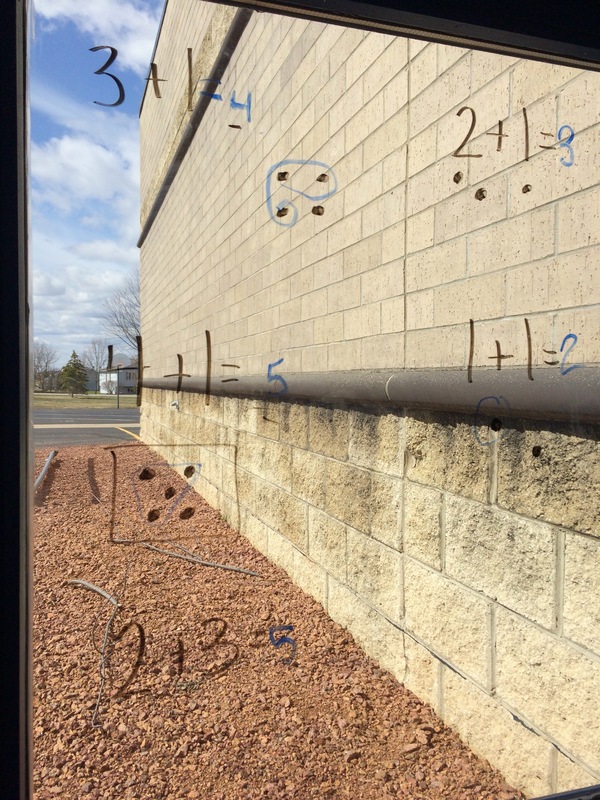 Numbers lines are abstract…fractions are abstract…what is a teacher to do?! Well, teachers connect abstract things to real life for their students. We constantly look for ways to help students make sense of things that are being taught to them in isolation. So to practice locating benchmark fractions on a number line, we could turn the number lines into rivers or bodies of water. In this free game 3 player game, the Control Tower and Commander work together to sink the Spy ships. The Spy marks the ships and hands their number line to the Control Tower. The Control Tower uses this intelligence to tell the Commander the “coordinates” of the location of the Spy ships. The Commander marks where they think the ships are on their own number line. Then the Commander checks their thinking by laying their number line over the top of the Control Tower’s number line. “Hits” are when the Commander has successfully located a ship. After all three players rotate roles, the Spy with the highest number of ships not sunk to the bottom of the water is the winner! The important part of teaching them to play this game is to show them how the ship would start at the beginning of the line, and then sail down the river/ocean. When you stop at the halfway point (0r a third or quarter of the way on the other lines) they start to see what each of those tick marks stand for. They begin to see that a number line represents distance, imagine what that will do when they begin to measure! The game is super motivating and the kids beg to play it! Give it a try, it’s free!